Model United Nations, also known as MUN, is an educational simulation and academic competition in which students can learn about diplomacy, international relations, and the United Nations. And yes, it is a real IASAS. According to first-timer sophomore Abhinav S., “MUN has an interesting process, but it’s kind of similar to other sports.” Throughout the first season, delegates are placed in committees and assigned countries that they represent. They conduct research before conferences and formulate positions on assigned topics that they then debate with other delegates in the committee, staying true to the actual position of the member nation they represent. Though debating world events may seem pretty dry, this year’s MUN team clearly proved that they were definitely not all work and no play with their hilarious IASAS send off video, which, according to delegate and senior Jerrick T., was inspired by “Francis [A.] and [his own] experience making MLG [Major League Gaming] montages, Jon Sudano, and dank meme compilations.” The four-minute video features delegates creating Maroon 5 music covers, rap battling, and dancing along to “Juju on the Beat” in full formal attire. As this year’s team has shown, MUN is a fun, interactive way to keep up to date with current events, and is perfect for anyone looking to improve their public speaking and debate skills. 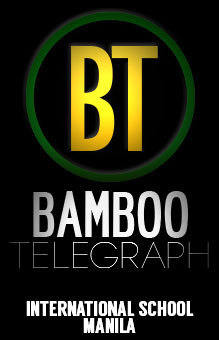 So for those of you interested, grab the nearest newspaper or open up the latest Bamboo Telegraph article. After all, there are only 352 days until next year’s send offs! Watch the send-off video here, and find out what it’s like to travel with the team with the ‘Behind the Journey’ feature here!